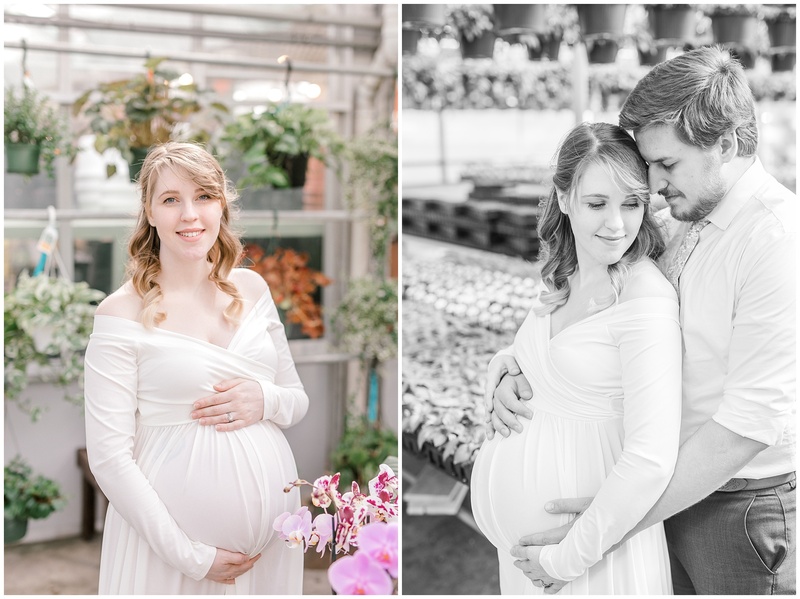 Megan is due in early May, so we planned on doing her maternity pictures in early April. 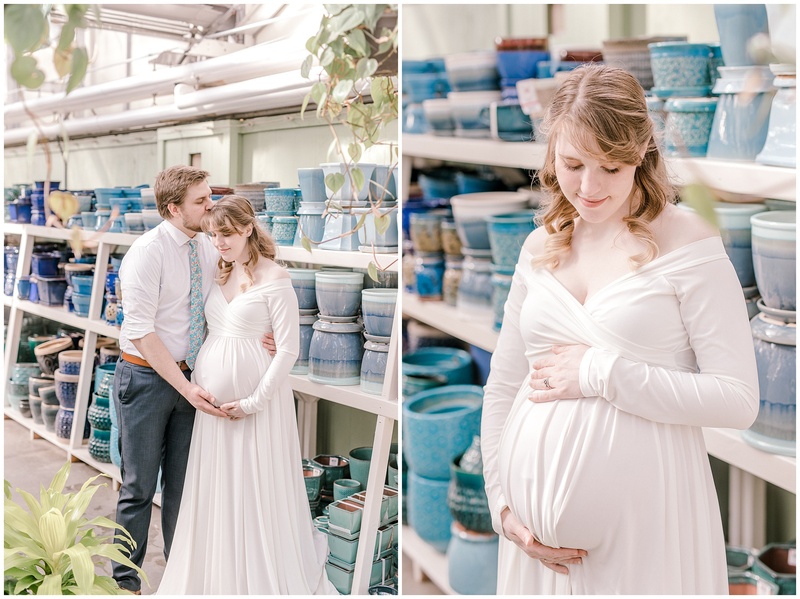 April in Maine is a bit of a mystery weather wise. 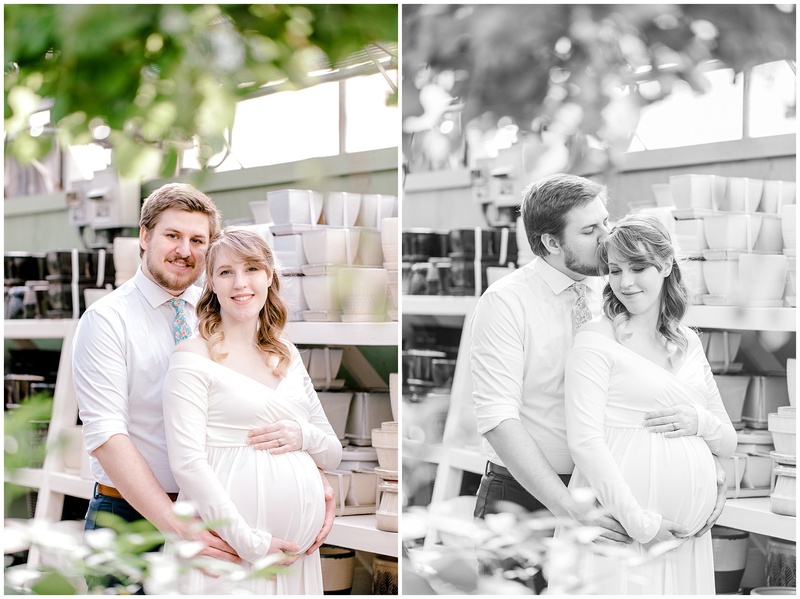 Some days are warm and sunny, and on other days, it’s cold and snowy! 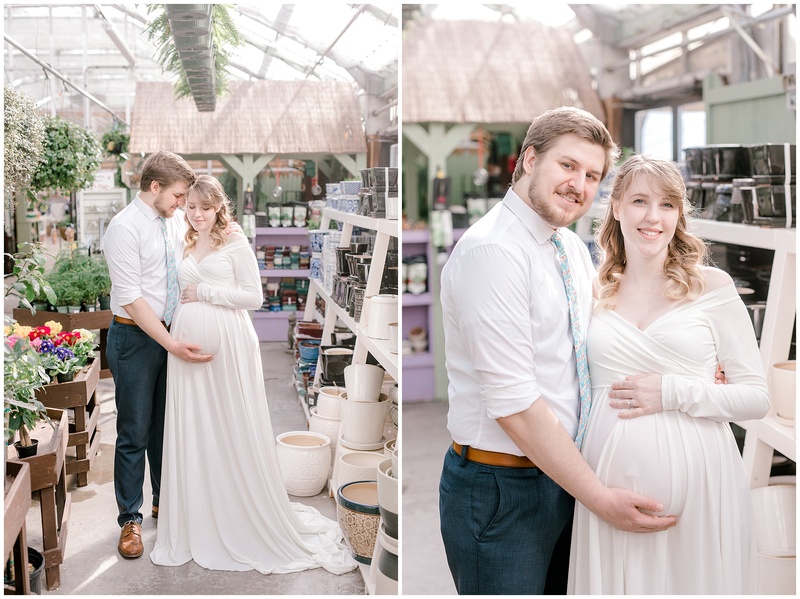 We decided to take their pictures at a local greenhouse, that way we wouldn’t have to worry about the elements, and we’d get a touch of color that we weren’t going to see outside at this time of year! 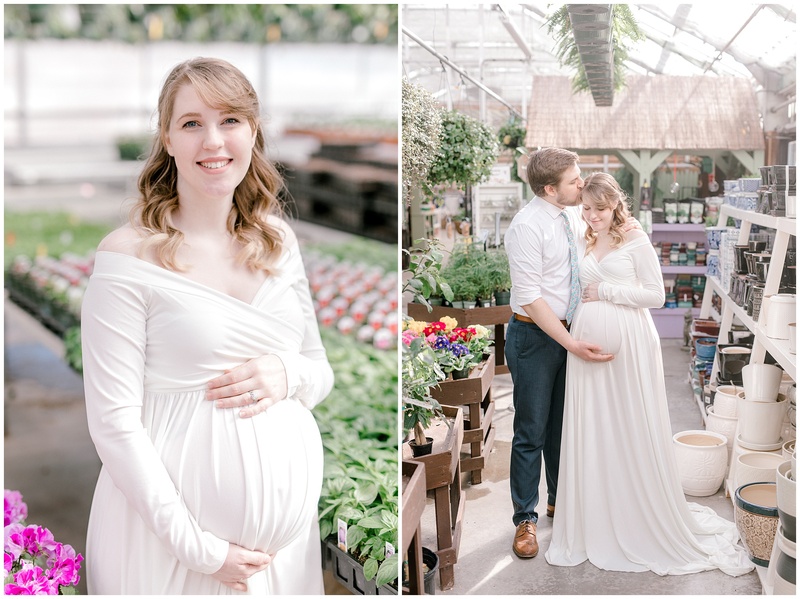 At 35 weeks pregnant, Megan was absolutely glowing! 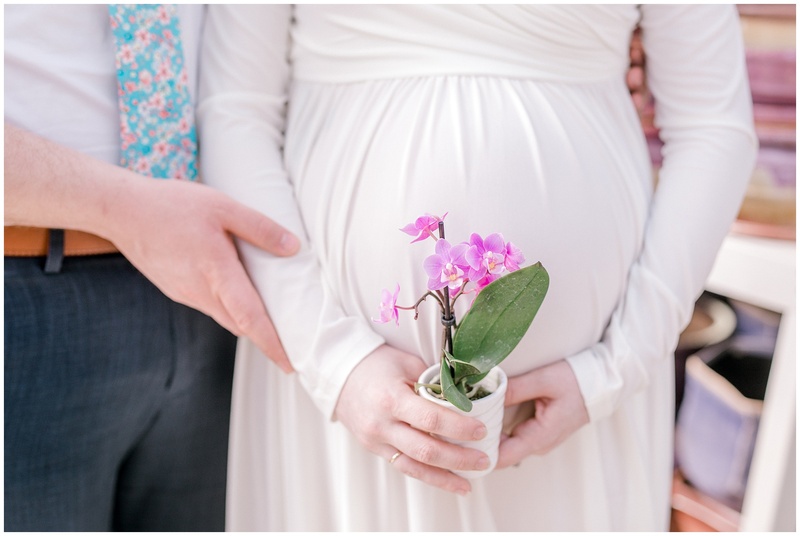 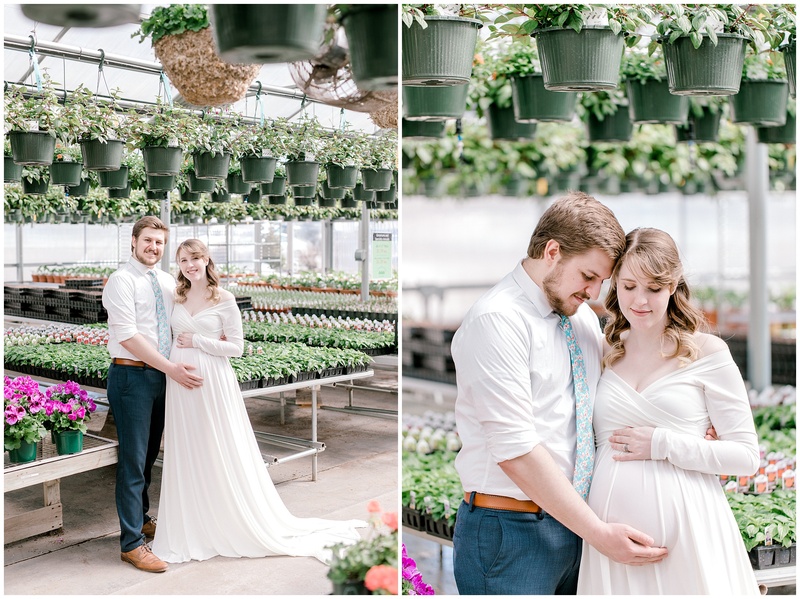 She wore a white flowing maternity gown, and Spencer wore dress pants with a white dress shirt and floral tie – a fun Spring touch! 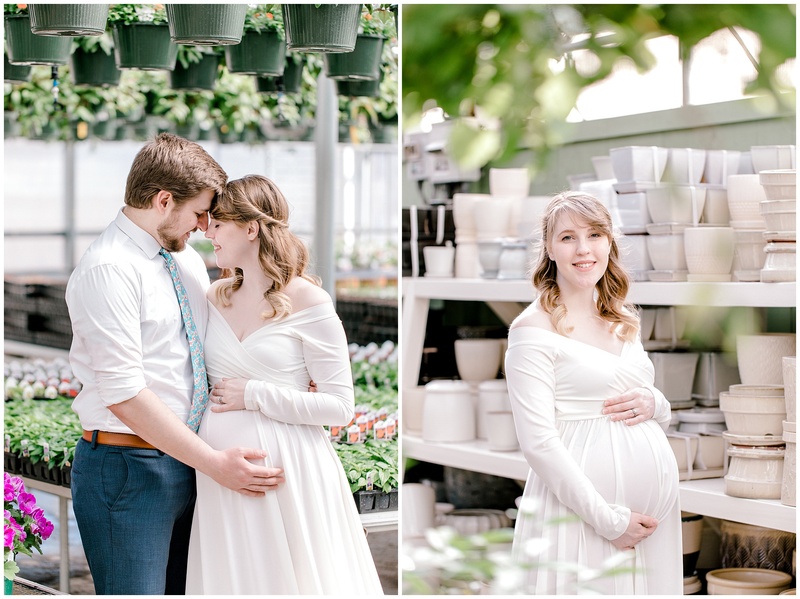 These two look so natural together, and they have the warmest smiles! 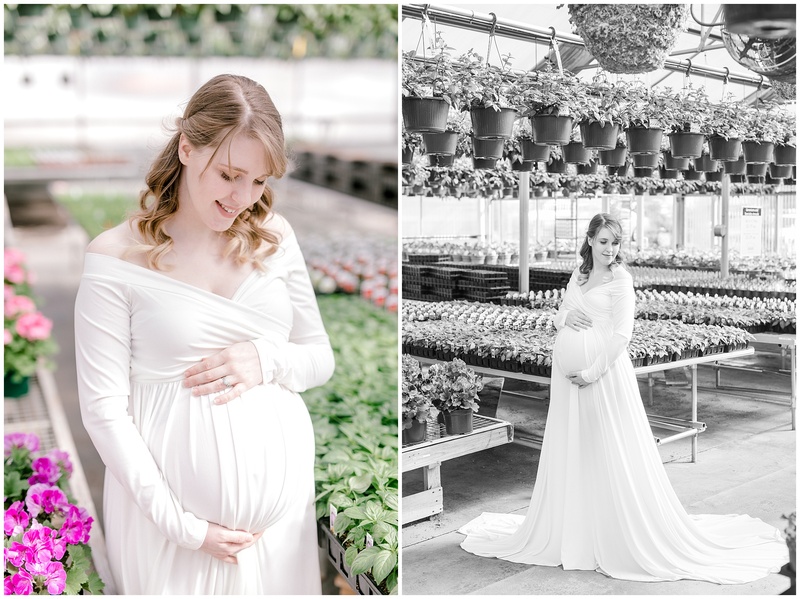 As we wandered through the greenhouse, I shared how my 5 year old son, Zane, is currently terrified of plants, especially greenhouses! 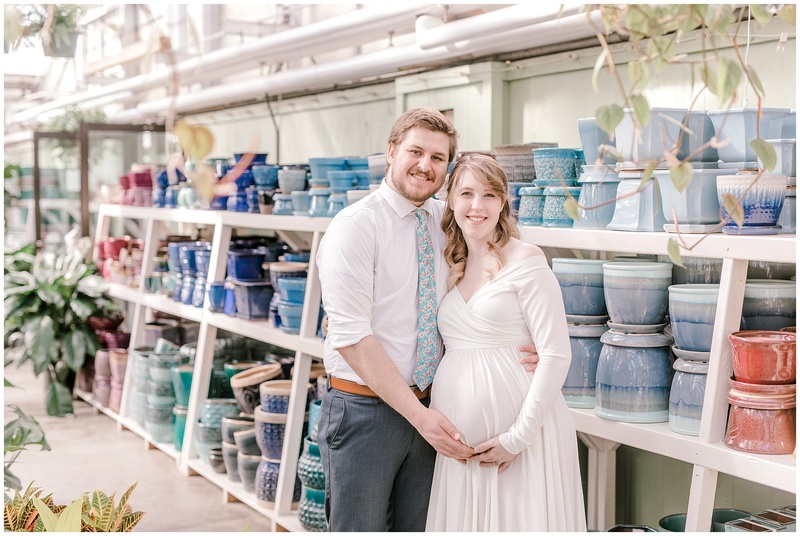 To my surprise, Spencer shared that he was scared of plants as a kid too, how funny! 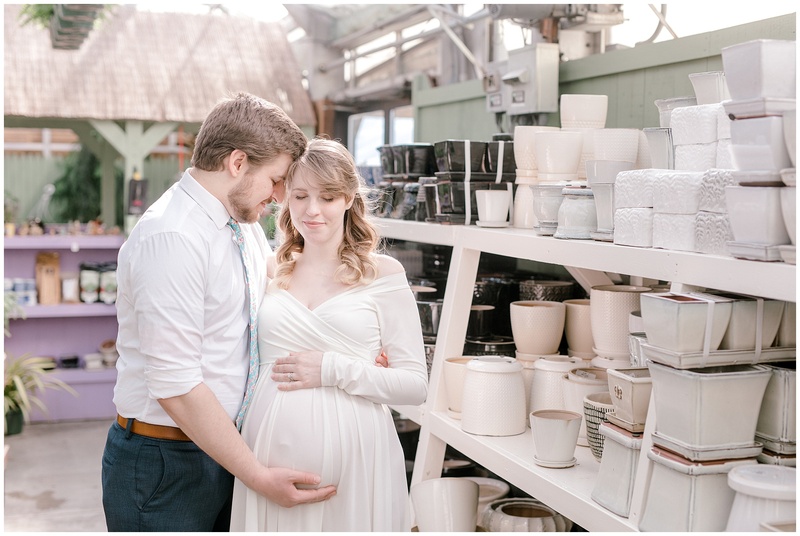 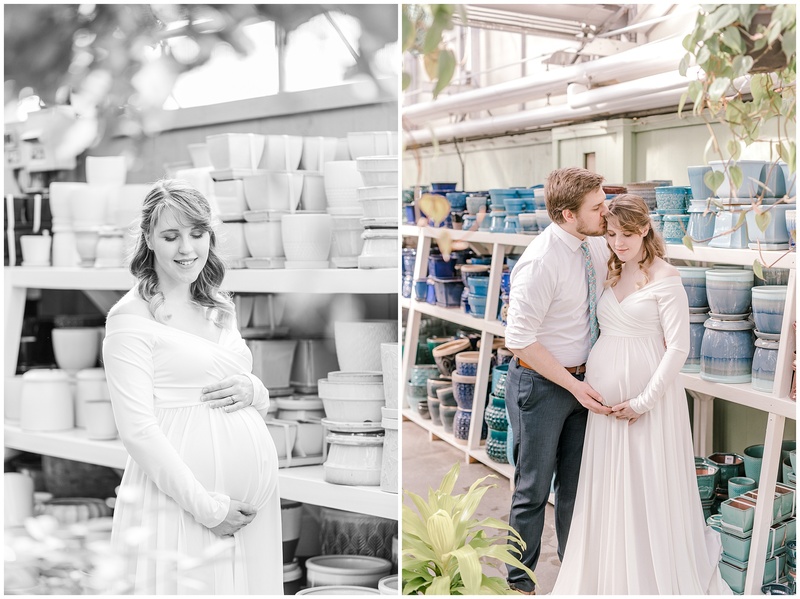 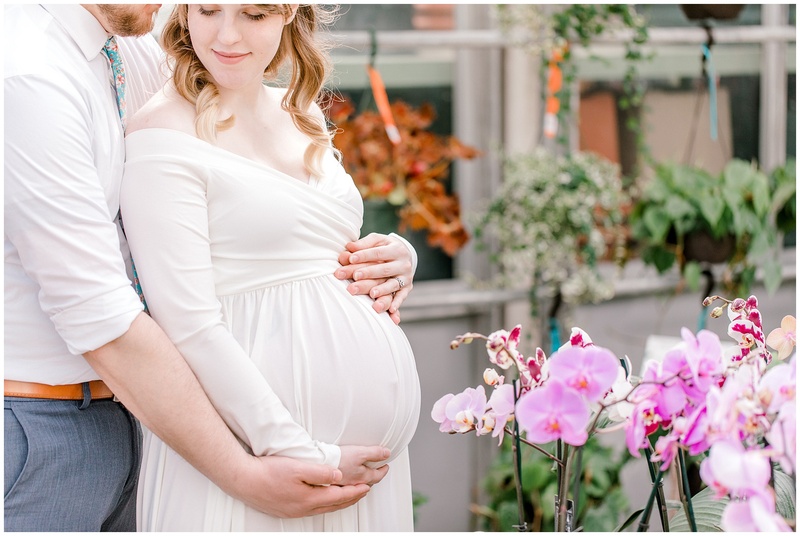 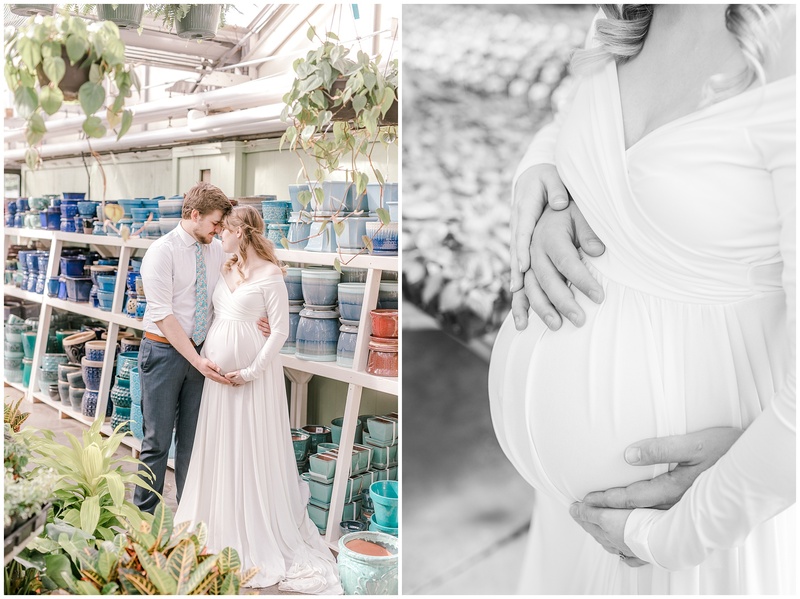 I’m so excited to photograph their birth next month and to meet little baby Simon!